By the end of March 2018 the German Parliament will have to decide on Germany’s military missions to Afghanistan. Economic development resulting in income and job creation is badly needed by the Afghan government. The following article on opportunities and challenges in the mining sector in Afghanistan illustrates the situation in the country at large. By the end of March 2018 the German Parliament will have to decide on Germany’s military missions to Afghanistan. Along with the prolongation of the mandate, the parliament will also discuss whether the number of German troops should be raised by around a third to 1.300 soldiers. The fact that this will be the first increase of German soldiers, since the NATO-led security mission ISAF was disbanded in December 2014 highlights once again the continuing security issues in Afghanistan. In the German public, this currently sparks a broader debate on the success and failures of Germany’s engagement in the last years. While it should not be neglected that the situation in Afghanistan’s social sectors has improved considerably since the defeat of the Taliban in 2001, the overall situation in Afghanistan remains disenchanting. The frequent attacks in Kabul and other parts of the country and the lack of functioning governance structures are the most visible signs of the international community’s failure to rebuild Afghanistan. Of course Afghanistan’s very complex reality does not allow simple answers, it is however clear that the country will depend for many more years on the engagement of the international community. A complete withdrawal of foreign troops and development activities would most probably leave the population in havoc and create more breeding ground for international terrorism. Germany as one of the major donor countries supported the Afghan government politically, economically and with military engagement in the last years. Yet, the decision on the extension of the military mission and even an increase of the number of German soldiers should be based on an independent assessment of the overall achievements and failures of Germany’s engagement. Germany should not follow the US approach and put more emphasis on a military solution without a prior thorough evaluation. If such an assessment shows that German soldiers could indeed contribute to stabilize and enhance economic and social development within a comprehensive and coherent rebuilding strategy, this military mission would seem a bit more reasonable. The following article on opportunities and challenges in the mining sector in Afghanistan illustrates the situation in the country at large. Economic development resulting in income and job creation is badly needed by the Afghan government. If Afghanistan really wants to decrease its dependence on foreign contributions to pay for instance for the security forces, it needs to start searching for its own sources of income. Such a potential source of income could be Afghanistan’s mining sector. To start the process of developing the mining sector, the support of the international community is essential as well as the involvement of a strong civil society and the private sector. Yet, as the failed investment in the Aynak copper mine in Logar province showed, a lasting development of this sector can only be possible if local and foreign actors achieve a certain level of stability and can establish inclusive governance structures in some parts of Afghanistan. The peaceful reconstruction of Afghanistan has been a longstanding pressing issue on Germany’s foreign policy agenda. Although Germany did not spare any financial or military resources in its effort to stabilize Afghanistan, several crucial questions for the outlook of Afghanistan remain to be tackled. This includes Afghanistan’s economic prospective, good governance, the security situation, and the ability of the Afghan government to provide jobs. The mining sector relates to all these areas, and therefore bears great potential to the country. Yet there are pitfalls. As much as mining could be a positive driver of Afghanistan’s development, it could also create more incentives for various stakeholders to further undermine the government. Afghanistan is therefore a country that faces an extremely elevated risk in mining. The mining sector’s potential is undeniable: Estimates range the value of Afghanistan’s natural resources between $1 to 3 trillion. Afghanistan has over 1400 mineral fields, containing coal, copper, gold, and iron ore, just to name a few. There are six lapis lazuli mines mostly located in Badakshan province as well as 10 copper mines. The mining sector was supposed to generate around $1.5 billion in 2016. Such revenue offers great potential for job creation and economic growth. In addition, Afghanistan has great potential from an energy standpoint and its geographical position as a potential transit hub, the challenges, however, are very complex. In 2006, Afghanistan passed a new mining law, which has since been revised two times. Notably, the last amendment in 2014 states that five percent of the gained budget are to be allocated on development programs of local people living near mining sites. However, there are still areas that remain unclear in today’s law, in particular how development plans could generate income for local people or what requirements are set for feasibility studies. There has also been a lack of decision-making capacitiesand of sufficient expertise on the mining sector to properly tackle all issues top-down from government level to local actors. In addition, the effect of deep-rooted corruption on the Afghan state continues to damage the business climate and prevents attracting important investment for the mining sector. On the 2017 Corruption Perceptions Index Afghanistan ranked 177 out of 180 countries. Finally, security and the influence of Taliban groups are drivers of illegal mining but offer also potential solutions to the conflict. International donors in particular have often perceived the mining sector as a development and economic issue, yet, the underlying issue is security. Currently, illegal mining is the second largest revenue of the Taliban. Around an estimated one third of the population live under Taliban control as of 2017. In many parts of the country, the Taliban rule as local shadow governments and provide security in tribal areas. They therefore have more connections to the local population in rural areas than the government. As a result, people are also fleeing the provinces under Taliban control and contributing significantly to urbanisation in Afghanistan, which eventually could change the social structures of the society all together. 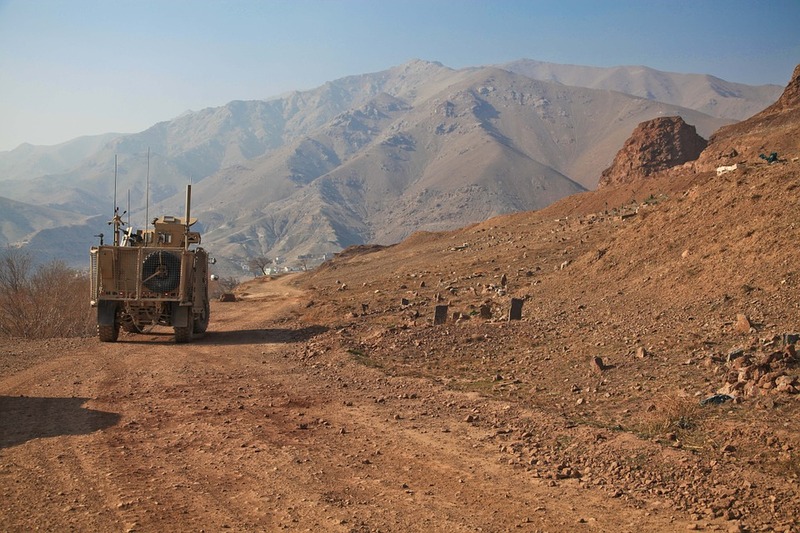 This also touches upon one of the most crucial issues relating to the security of mining areas: Most existing and potential mines are situated in rural areas, where Afghan national forces have little to non-resistant presence. Consequently, these areas lack sufficient and effective presence of the government. The new acting minster of mining, Ms. Nargis Nehan, reported during a workshop organized by the Heinrich Böll Stiftung and the European Council on Foreign Relations on 15 November 2017, about the efforts presently made to improve the situation. They include measures towards trust building and transparency by creating committees to review or audit contracts, projects, and payments. The ministry drafted a road map on developing the mining sector, which has been distributed among the civil society and governmental institutions for review and has been approved by the government in January 2018. Furthermore, the ministry is making new efforts to attract more investment in mining from the private sector. Finally, acknowledging that mining is also about changing the lives of the people living around mining sites, the ministry has a new approach that includes to work towards institutionalizing the civil society’s engagement. Afghanistan’s civil society could play a crucial role to hold the government accountable for its mining policy; it could create more community ownership in mining and provide access to information. Moreover, civil society organisations need to monitor the environmental impacts of mining projects, insist on the introduction of environmental and social standards and report to the media and the government if companies do not comply with these rules. Given the weak governance structures in Afghanistan, it is up to the civil society to play a crucial role for sustainable development of natural resources and thus also for a better acceptance of legal mining projects among the population. Altogether, the civil society serves as a bridge and could, for instance, create more linkages between the private sector and governmental institutions. So far, however, the civil society’s perception on mining issues is rather negative as mining is seen a matter of national security and an issue among power brokers, who also use natural resources to act against the state. In addition, there has been minimal cooperation between the civil society and the policy makers in the past. It appears crucial to improve capacities of the civil society at the same time in order to be able to constructively engage with the mining sector and ministry. The civil society could play the role of a watchdog for mining activities, but for this it would have to develop enough capacities to monitor the areas where mining takes place. These are mostly rural areas in the countryside, far away from state control. Therefore, any advocacy for the issue of mining and natural resources needs to reach the areas outside of Kabul where the mines are located. It would also have to be evidence-based advocacy to build trust with the society, which will have to see a benefit from legal mining. Transparency is equally important in the area of mining, which could be improved by making contracts, owners, production and payment data available for the public. Publishing all the data could be an irresistible incentive for companies to make contracts public as it implies that only published contracts would be legal. This might also be a basic requirement for anti-corruption work and for strengthening the government’s capacities. The role of the private sector in Afghanistan’s mining sector is a new phenomenon. The previous government largely led development in the mining sector, but now the development of the private sector as engine for growth is gradually seen as necessity. So far, private firms have refrained from taking on large-scale extraction projects. Major foreign investment in the mining sector has been led rather by state than private initiatives, such as the $3 billion bid to lease the Aynak copper mine in Logar province by a Chinese state-owned enterprises. Such major initiatives have failed so far, largely due to the insecurity of the Afghan state. Actions to be taken include clarifying the rules, polices, and regulations relating to mining, as well as improving areas such as mining inspections or the management of compliance of contracts and revenues, in particular taxation. Such improvements might attract more large foreign companies to invest in Afghanistan’s mining industry. The role of foreign firms would be crucial as they are assumed to have more experience and capacities from which local firms could learn how to build domestic private capacity. Most importantly, value chains relating to the mining industry should remain in the country. So far companies only extract resources from the country but then export the raw material abroad to be manufactured, such as in Europe, India, or China. However, Afghanistan can only benefit long-term from the mining industry if it can capture the value chains. The European Union adopted a new Afghanistan strategy in October 2017, which focuses on areas including stability and regional security, reinforcing democracy, promoting good governance and women's empowerment, and supporting economic development. There remains, however, the need for the EU to coordinate the member state’s engagement in Afghanistan as well as for the member states to speak with one voice, for instance on human rights issues. Germany remains as one of the largest bilateral development partner in the EU, its engagement resting on three core elements: Germany’s comprehensive approach, which consists of a military component, policy cooperation, which increasingly focuses on public security, and long-term development cooperation, as well as cultural and scientific cooperation (such as education or language). These elements also apply to Afghanistan’s mining sector. The German ministry of development has started to see mining as a crucial sector and legal extraction as legitimacy for the Afghan state. Since 2014, it provides support to the Afghan ministry of mining, for instance in frame of the multi-stakeholder group (MSG) of the Afghan Extractive Industries Transparency Initiative (AEITI). Germany’s “Promoting Good Governance in the Extractive Sector in Afghanistan” initiative supports Afghan actors to make mining activities transparent and sustainable for economic growth. In addition, Germany has engaged with Afghanistan’s national initiatives on mining, such as the Afghan National Development Strategy (ANDS) and the National Extractive Industries Excellence Program (NEIEP), focusing on institutional reform, technical training, developing a gender policy, contract management and compliance, transparent and accountable governance. In the past Germany also initiated a program on Academic Mining Education in Afghanistan (AMEA). From 2014 until 2017the goal had been to establish a curricula reform to provide education in mining, law, and economics, focusing on developing capacities through praxis-oriented learning. Starting in 2018 the newly developed curricula are introduced in universities in Afghanistan. There is a risk that Germany’s new government, following month-long on-going coalition negotiations, might lower its expectations, meaning to question Afghanistan’s situation and Germany’s engagement. Germany’s engagement in Afghanistan has relied significantly on the German public opinion, which has been influenced by the highly publicised topic of refugee flows to Germany and Europe. Nonetheless, the influx of refugees will only decrease if the situation in Afghanistan will improve – and the mining sector could offer Germany as well as any other foreign partners a new way of engagement. Germany also has started seeking out regional cooperation formats, in particular with Iran and China, which are crucial to Afghanistan being its neighbours. There are common elements that facilitate cooperation, such as academic exchange, trainee ships, or joint research projects. In 2017, the United Kingdom initiated a dialogue with China on development assistance in Afghanistan and in 2016, Germany and China initiated their first third-country cooperation to train Afghans in the mining sector. Eventually, only political will on both sides, the Afghan government, no matter which one will be in place following the next elections, and the international donors, will make the mining issue as central priority. It is crucial for both sides to realize that the developing the legal mining sector is not solely about investment to improve the economy but also most crucial for Afghanistan’s security. Afghanistan is a resource rich country with reserves estimated to worth around 3 trillion USD which almost have remained untapped. Afghanistan is prompt to invest in its extractive industry to cover the state expenses and budget deficits and to fund its development projects to alleviate poverty in the country. Investment in infrastructure and channeling the revenues for equal development and enabling economic factors that would precipitate long-lasting and sustaining economic growth is important for making the best use of natural resources.